Planning an event in or around Essex? We hire out wide range of all marquees. At Weatherill Brothers you can create a venue of any size or shape, complete with linings, lighting and all the facilities you need (including a dance floor, bar and even toilet facilities). 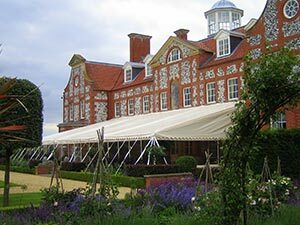 We have more than five decades of experience designing and constructing marquees and use only the finest quality materials for a superior finish. Plus, there is a range of design choices from classic right up to modern styles. A marquee is a great way to bring the outside in, making the most of your natural surroundings and the views. But it’s not just a summer choice, with heating and environment control options making a marquee a good choice all year round. Just get in touch with a member of our team on 01953 882 394, tell us what kind of event or use you’re looking for, the size and shape of the space you have available, and our team find you the perfect marquee, for your needs.